Out of all our tried and tested models, the best seller of 2013 was the Spud. 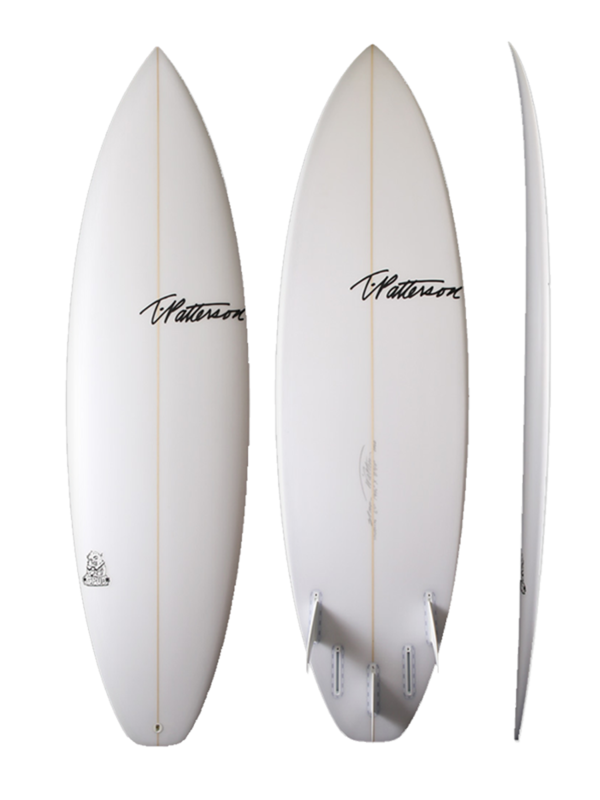 The Spuds design has been proven to be one of the most responsive and forgiving boards in our entire line up. The Spud has it all and a bag of chips. It has all the width and volume and a pushed up the outline placed right under your chest for ultimate paddling power; getting you into waves earlier and faster. The tail is pulled in so you can still snap fast tight turns on any part of the wave no matter how fast your going. The Spud has a single concave under your front foot and fading flat off the tail while keeping slight rocker flip in the rail. It comes with medium rails and a medium-high entry rocker. Recommended with a squash tail or round tail. Works as a tri fin or quad. The Spud is an all around go to board. If you needed to choose one board and only one, The Spud would be the choice.